Once again we're thinking outside the bun and have created a unique segment we're calling the "POWER RANKINGS!" We use the science of "Math & Gu" to bring you a definitive list of the best characters from 2015's Avengers: Age of Ultron! With the highly anticipated Avengers: Endgame coming out next week, we discuss our biggest movie disappointments. The gruesome twosome give you a very macabre top 10 list of Tim Burton movies! We review Jordan Peele's second inventive & ambitious horror film, "Us" How does it compare to "Get Out?" Does Peele hit the sophomore slump? Is "Us" an instant classic? Spoiler free for 20 minutes! We discuss some of 2013's award winners, disappointments, and downright awful movies before ultimately deciding on a final four. Be sure to vote in our Twitter poll to help decide what the best movie of 2013 is! “The LEGO Movie 2: The Second Part," reunites the heroes of Bricksburg in an all new action-packed adventure to save their beloved city. It's been five years since everything was awesome and the citizens are now facing a huge new threat: LEGO DUPLO (R) invaders from outer space, wrecking everything faster than it can be rebuilt. The battle to defeat the invaders and restore harmony to the LEGO universe will take Emmet (Chris Pratt), Lucy (Elizabeth Banks), Batman (Will Arnett) and their friends to faraway, unexplored worlds, including a strange galaxy where everything is a musical. It will test their courage, creativity and Master Building skills, and reveal just how special they really are. We discuss the newest film in the LEGO-verse & touch upon the FYRE Festival documentaries. 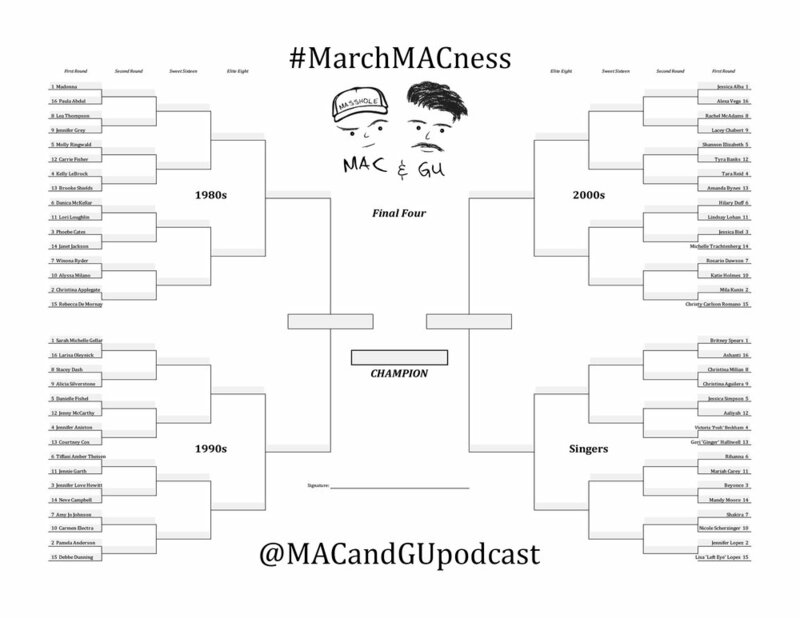 Mac & Gu 166: The Avengers Characters: POWER RANKINGS! We bring you the top 10 superhero parodies from television!